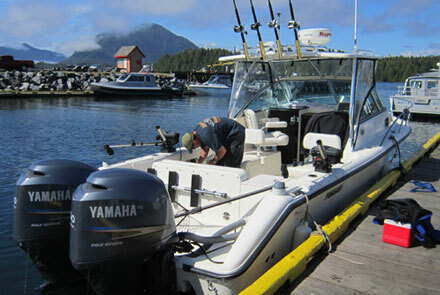 The Braedy Mack 2, a 2006 2570 offshore pursuit with twin 150 four stroke Yamahas, is one of the nicest charter boats on the coast. 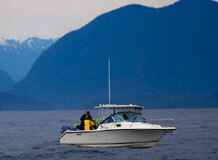 This new vessel has seating for up to five guests and has an onboard toilet facility. 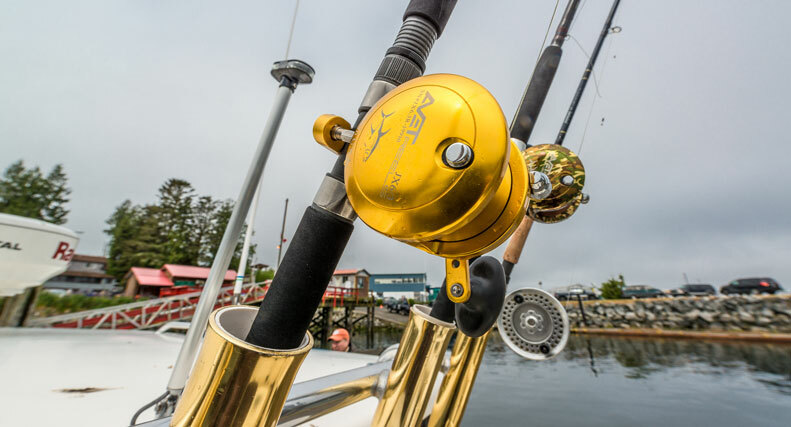 Equipped with all the latest electronics and top of the line gear, the Braedy Mack 2 is your premier Tofino sport fishing vessel. 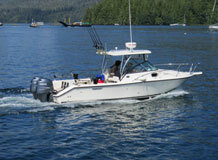 Two Yamaha 150 horse four strokes are the powerhouse of choice offshore. 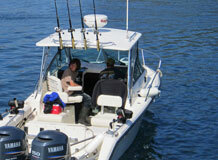 They are one of the quietest outboards on the market and will get us to our destination quickly and comfortably. 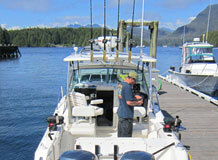 This boat was custom designed for offshore salmon & halibut fishing in BC.